“Worm” has been officially selected to screen at the Noosa Surf Film Festival. We are super honored, and stoked for the opportunity! If you’re in Australia October 23 and 24, check it out! Things have been a bit quiet here at Leashless.tv but I’m hoping to start filming again soon. Took a much needed break from finishing up Worm, and also shooting and directing two short commercials for Pizza My Heart which both star Wingnut. Went out for a surf today with Worm at Churches and the sun made a brief but very welcome appearance. June gloom has been hitting So Cal with a vengeance! Can’t wait for actual summer, which is generally delayed here in San Diego. I’m happy to announce that my most recent short “Worm” has been officially selected to screen at the San Diego Surf Film Festival this year. I’m extremely honored and thankful to be included this year, and I hope to see you there! 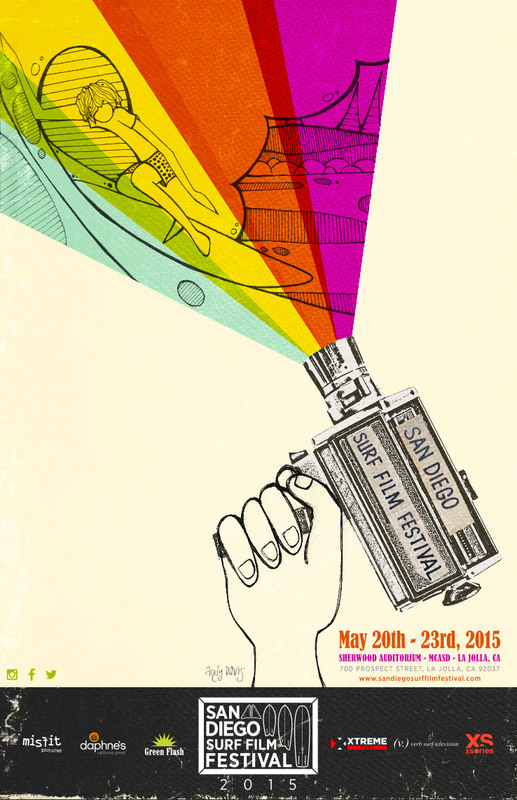 My film will be screened Friday, May 22nd during SET 4, from 8-11pm at the Museum of Contemporary Art in La Jolla. Got a new water housing for my Canon T3i. The first two sessions I took it out it was cloudy and difficult to shoot. Finally got a decent session today. Still figuring out the best ways to shoot from the water, although I like using the 35mm lens (it’s a crop sensor so closer to 50mm in reality). It was harder to line up for the shortboard shots. Here’s Sara Taylor about to hit the lip. I was too close though and had to dive before she made the hit. A little late here, but I wanted to update that Summer Salad played at the Women Of The Seven Seas Surf Film Festival in Rockaway, New York. Unfortunately I wasn’t able to attend, but I did last year and it was an amazingly fun event. Special thanks to Davina Grincevicius for reaching out to me. Got to shoot with Erin Ashley, aka Worm, yesterday. She was absolutely killing it! FYI – these are screen grabs from video that will be coming soon. Heading to Tofino, Canada with Jenna, Sara, Nicole, and Olivia. Gonna be a blast! Here’s some stuff I am bringing. Good thing I still have my hood and gloves from when I did the winter surfing thing back in New York!